Loving this little boys new summer pj's and that the weather has actually been warm enough for him to wear them! 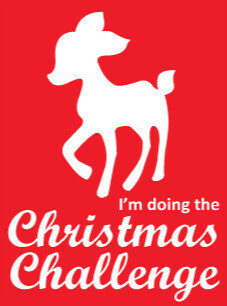 Loving making a start on some Christmas projects with the help of the Christmas Challenge. Loving that Riley is finally showing an interest in learning to write his name (thank you Kindy)! Love my clever little boy. Cute PJ's and yay for warm weather to wear them. Those PJ's are soooo cute!!! I've read those books and they're really good. Have you read them before?